Always receive excellent friendly service and always happy with my hair after liz cuts it would highly recommend! Haircuts have been amazing. I often get stopped to ask where I get my hair cut and will always recommend.. thank you Liz! Philomena was great. Talked through ideas and really put me at ease. My hair is very thick and curly so it can be a nightmare to know what's going to happen. However she did a cracking cut and really listened to what I wanted and needed from the cut. I don't do products or time so needed a good cut that I would be able to just wash and go. Many thanks for a super job. Sam and the girl that massages my hair! Sam is an amazing stylist. Completely brilliant. Every aspect of her work is amazing. We love her! The girl that massaged my colour through is fab too. Sadly I don't know her name, but she is fab. Sam is a brilliant hairdresser / stylist - she always does a fantastic job and I leave the salon feeling very well looked after and glamorous! I can recommend Connie too - she does lovely manicures and is really attentive and friendly. Impressive service. Liz was great- got an excellent haircut. Liz is great. Great hairdresser & also a lovely person to have a chat with! The sated were really friendly and helpful, they made you feel comfortable! Really friendly and professional service. My hair cut was quite a drastic change and I really love it. I've been trying to find a hairdresser that works well for me for a while now and I've finally found it! 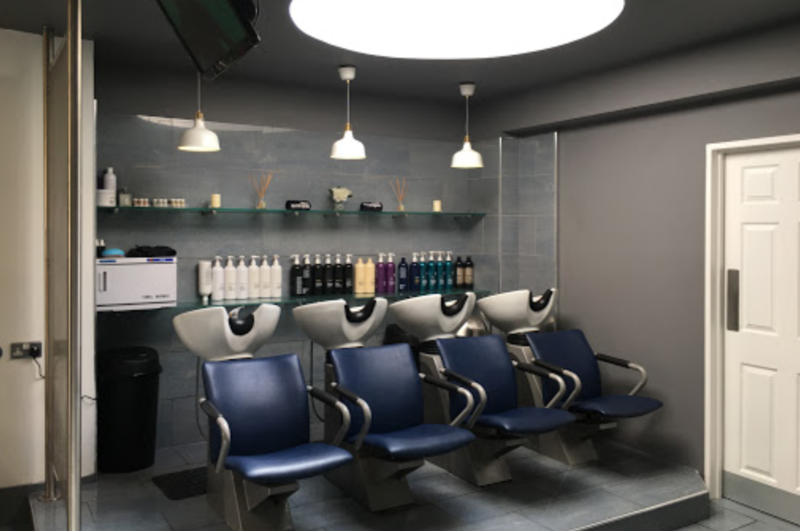 Fantastic service, always a great cut and a friendly and lively atmosphere. Wide variety of products and happy to see they have a fairly wide mens range. I'm a fairly regular customer as i get a trim every other week but i am always happy to come back as i know i'll be getting excellent service and an excellent cut. Thank you ladies keep it up. I came in for my first colour with essensuals and very pleased with the result , very friendly staff and very knowledgable about the products and services ! I've been to a few hairdressers in Bristol and I will definitely be returning to Essensuals and recommending here to friends. Samantha was so lovely; she really took the time to explain everything and was very professional and friendly. I love my new hair! Since reflections shut their queen Rd salon I've started going to Essensuals. It's been a really great experience. Definitely worth a try - staff are very friendly and spend the time to understand your requirements. Always been happy with the service at essensuals. The staff are really friendly, and they have done so much since my last visit to make the place warm and inviting.